With this issue, we’re inaugurating “The Score,” a monthly feature about the economy by Bryce Covert and Mike Konczal. 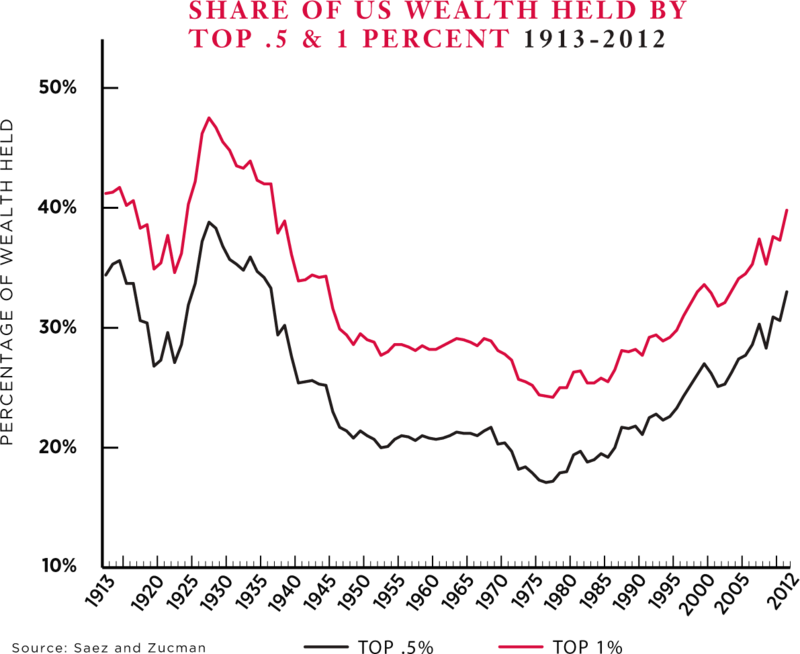 The wealth controlled by the top tenth of the top 1 percent has more than doubled over the past thirty years in the United States, approaching levels not seen since the 1920s. The left’s two recent intellectual blockbusters—Thomas Piketty’s bestselling Capital in the Twenty-First Century and Ta-Nehisi Coates’s “The Case for Reparations”—published by The Atlantic—indicate the profound uneasiness with this trend. 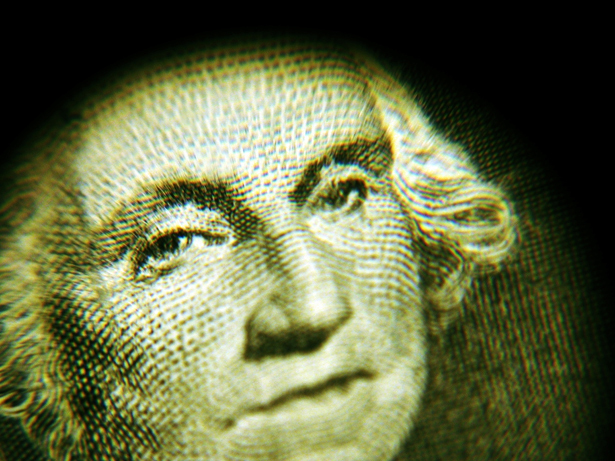 Wealth is the ownership of the productive economic elements in society, such as land and corporations. The wealthy control the direction of the economy, and they claim an increasing share of what it produces. But as their influence increases, they avoid being held to the same standard of accountability under a system of democratic politics, while those of us without wealth find ourselves vulnerable. Democrats and Republicans advocate different solutions to inequality, but both seek to shift financial risk from the state to the individual. Republicans promote the “ownership society,” in which privatizing social insurance, removing investor protections and expanding home ownership align the interests of workers with the anti-regulatory interests of the wealthy. Democrats focus on education and on helping the poor build wealth through savings programs. These approaches demand greater personal responsibility for market risks and failures, further discrediting the state’s role in regulating markets and providing public social insurance. Instead of just giving people more purchasing power, we should be taking basic needs off the market altogether. Public programs like universal healthcare and free education function the same way, providing social wealth directly instead of hoping to boost people’s savings enough to allow them to afford either. Rather than requiring people to struggle with a byzantine system of private health insurance, universal healthcare would be available to cover the costs of genuine health needs. Similarly, broadly accessible higher education would allow people to thrive without taking on massive student loans and hoping that their “human capital” investment helps them hit the jackpot. We already know how to create social wealth using taxes on private wealth and capital. Consider inheritance taxes: in addition to creating revenue, they motivate the wealthy to donate to nonprofits and other organs of civil society. Inheritance taxes direct private wealth to public ends. Bringing wealth under democratic accountability—rather than making everyone a tiny capitalist—has to be an essential part of any equality agenda. America’s biggest declines in poverty often follow from this approach (expanding Social Security and Medicare, for example). Otherwise, we’ll be left with a dystopic Lake Wobegon, where almost all of the men, women and children are below average, even as they hope to join the 1 percent. Construction jobs that would be created by investing $1.3 billion in infrastructure projects. This could be done via the Highway Trust Fund, the pot of money for road and bridge repairs that’s about to run dry. The number of companies with court cases pending that challenge the Affordable Care Act’s requirement that their health insurance policies cover contraception. After the Hobby Lobby decision by the Supreme Court, more companies may succeed in dropping coverage. The hourly wage that homecare workers in Illinois will make by the end of the year thanks to a union-brokered agreement. The Supreme Court ruling in Harris v. Quinn holds that such workers are no longer required to pay union dues, a decision likely to bankrupt their unions. The amount spent on four World Cup stadiums in Brazil—buildings that will now stand empty. Half-full: Employment growth has picked up in 2014. The average number of jobs created per month has been 231,000, compared with 194,000 last year. Also, broader surveys of consumer confidence are approaching pre-crisis levels. Half-empty: This hasn’t translated into real wage gains, with median incomes still 4 percent below pre-crisis levels and showing no signs of catching up. Ironically, the good employment numbers could also hurt working people by prompting the Federal Reserve to step on the brakes sooner and raise interest rates.